Deerhunter are a band defined as much by their songcraft as they are by their control of sound. Why Hasn’t Everything Already Disappeared? sees a fine return to form, with the band delivering in spades on both fronts. Death in Midsummer is the deserved opening single and a perfect album opener. It strikes a melancholy note about the passage of time and memory. Its lyrics echo the album as a whole – Why Hasn’t Everything Already Disappeared? brings sentiments of bygone days – it often feels like a picture postcard from yesteryear, recalling desolate and windswept American plains, sunsets across distant mesas, and landscapes resistant to time. It’s comes as no surprise, then, that this album is a grower. The mood is meditative and slow, and the songs don’t jump out at first listen. Only on Plains, which tellingly sits at the tail-end of the album, does Deerhunter pick up any pace, and even then the track barely breaks a sweat. But it needn’t – its hallmarks, as with most songs on this album, are the emphasis on melody and structure. It boasts a chorus hook that will burrow itself into your brain after a few listens. Most of the other offerings are similar – slower, perhaps, but equally rich and well composed. No One’s Sleeping pairs sleepy verses with horn blasts and dreamy synth soundscapes, with a beautiful passage underpinning the bridge. Elemental is entrancing, impeccably transitioning from verse to chorus. What Happens to People? feels like a Beatles tune hummed under the covers, carried by soft guitar arpeggios and xylophones. 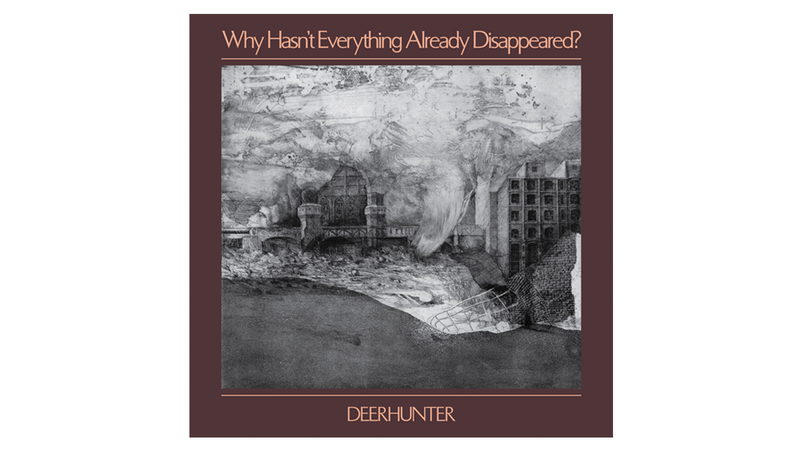 As notable as the song construction is the sound that Deerhunter have captured on this album. The instrumental set-up is consistent throughout – acoustic guitar, old school synths, xylophones, horns, and light touches of electric guitar. While the instrumental palette remains steady, the sound of these instruments in unison is blissful. Greenpoint Gothic is a great combination of Krautrock synths and cute xylophones, like a preschool Kraftwerk. Elemental’s traces of guitar feedback hint at Deerhunter’s noise rock beginnings, but they’re deftly cut off before overstaying their welcome. Tarnung is driven by a repetitive xylophone motif atop some beautiful synth lines. It’s home to the best musical moment on the album, as twin-tracked xylophones harmonise against a swelling horn section to inimitable effect. The album is not perfect – Detournement is a narrative piece that does away with vocal or instrumental melodies entirely, and suffers for it. Closer Nocturne is the only long-form piece on the album but it is overlong – the opening vocal could have been cut out entirely. Even so, the final three minutes are a welcome opportunity for the band to finally stretch out. Why Hasn’t Everything Already Disappeared? is decidedly not for everyone. The atmosphere is sleepy and the album will float by for some. But for fans of Deerhunter and those open to their adoption of this sound, it is a must. Not only have Deerhunter crafted a beautiful sonic palette, they have written some great songs here.